Tom Lee, Fundstrat’s managing partner and head of research, polled 25 institutions and then gave the same poll to his Twitter followers but the results were far from the same. 54% of the polled institutions believe that Bitcoin has bottomed out for the year, while only 44% of the Twitter poll believe it has bottomed out. In addition to being more bullish on the short term pricing, 57% of institutions believe that by the end of 2019, Bitcoin will rise from 15,000 to “the moon” while only 40% of Twitter users are predicting the same. Spencer Bogart, CFA of Blockchain Capital believes that “Bitcoin is close to bottoming.” Being down 70% from all-time highs means, historically, that we are close to a bottoming out. According to Bloomberg, Yale is one of the few institutions which are currently investing into the crypto markets. “Ninety-six percent of endowments and foundations responding to a survey by consulting firm NEPC in February said they don’t invest in digital currencies.” In 2019, close to 60% of Yale’s $30 million investment pool will be spent on alternative investments like cryptocurrency. One of the biggest reasons why more institutions don’t invest in cryptocurrency is due to lack of regulation. In order for this space to mature, there needs to be more regulatory clarity. 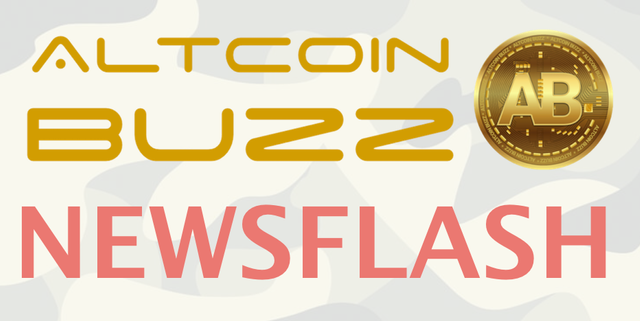 In the coming days, Altcoin Buzz is releasing a new segment called “Community Speaks.” This platform will allow community members to share thoughts and news regarding their favorite projects. The Community Speaks team will release content about 4-5 days per week and each member will be representing different coins with the task of keeping us up to date on those coins. If you are interested in representing a coin within the Community Speaks team, please contact @Garrett59 on Telegram. The news that many institutions feel that Bitcoin has bottomed out is definitely the best news of the week. With Tim Lee’s survey and Spencer Bogart both believing that the worst times are over, the upcoming weeks and months could be a turn for the better. Back in December 2017, it seemed that no bad news could hurt the bull market. Now it seems that no positive news can get the bull market started. While the price hasn’t shown the signs of a bull market yet, the price of Bitcoin has been the most steady in years. Institutions like Yale are actually investing in cryptocurrencies but unfortunately, many other institutions aren’t yet due to lack of regulatory guidance. Once more governments provide more clarity on this space, more companies will be able to buy in. While ‘Community Speaks’ doesn’t change the price of any coin, the ability for more people to get involved in this space is very important. There are many smart people who can help us all learn more about individual coins. If you are interested in representing a coin within the Community Speaks team, please contact @Garrett59 on Telegram.